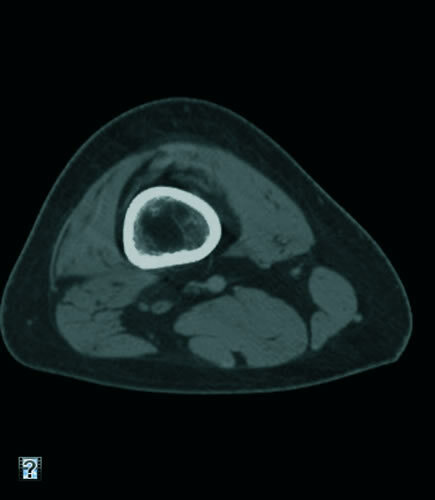 A 19-year-old man presented with swelling and motion restriction of the right knee. No abnormality was found with standard laboratory tests. 16-slice CT was performed without contrast enhancement.